Have you ever felt stuck? Orlando can help. Using laughter and life lessons, he walks audiences through his Align approach that clients have used to change their bodies, their businesses & their lives. Walk the shortest line between you and success. It is accurate to say that through Align Performance, my personal performance coaching firm, that I have created a methodology for the development and execution of authentic success strategies. It is more accurate, though, to say that I created what I needed when I was lost, alone, and at the lowest point in my life thus far. Utilizing the Align approach I have worked with individuals to do everything from launch businesses, to vault careers, to achieve and maintain massive weight loss. An audience member left the following review after seeing the show at the Hollywood Fringe Festival: "Orlando Bishop starts with a tenderness that you feel comforted by, continues pragmatically through a self-exploration journey with you and ends with a contagious optimism that leaves you soaring. A must see performance!!!" I help people achieve the best version of themselves, the version they barely dare to dream. Whether on a stage, on a conference line or sitting in a coffee shop, that is what I do. My straightforward approach, inspiring personal story, and entertaining delivery have inspired, energized and entertained a vast array of audiences. The Align Performance approach boils down to this: Align who you are, where you are, and where you want to go. That begs a question that is as simple as it can be complex, "Who are you?" This talk helps individuals identify and articulate the characteristics they embody and exhibit when they are being their best selves and shows them how they can use their "Who" as a compass for their personal and professional lives. Sometimes, our dreams come true. Sometimes, they don't. Sometimes, life goes according to plan. Sometimes, it doesn't. "Unstuck" is a how-to guide for when we don't know what to do next when the ship has sailed on who we thought we were going to be and how we thought things were going to go. The central question and challenge - Do you have the courage to let go of who you thought you were going to be so that you can become who you're becoming? Both practical and "New Agey," the Align Approach doesn't focus on my answers, but on the questions that lead those courageous enough to ask to the answers they have within themselves, the life they can create, and the fulfillment they deserve, if they'll do the work to claim it. 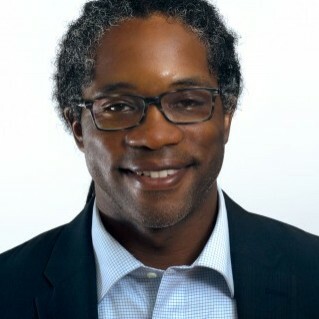 Find out more about Orlando Bishop, Align Performance at http://www.alignp.com/.